At least fourteen fatalities and 43 injured students, 22 to 29 years old, have been caused by a road traffic accident involving a bus carrying students from Barcelona to Valencia, at 06.00 hour in the morning of the 20th March 2016. The students, being part of the European Erasmus program, are said to be of 19 nationalities, including French, British, Dutch, Czech, Ukrainian, Bulgarian, Polish, Italian, Swiss, Irish and others. 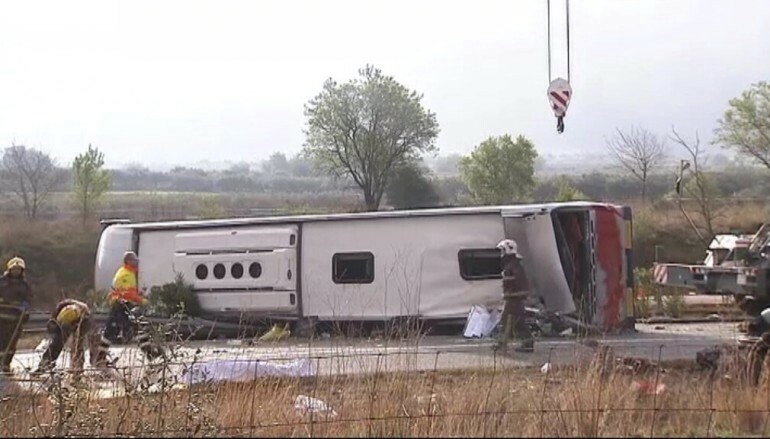 According to the competent authorities of Catalonia, both human error and technical failure are being examined and investigated; it is also under investigation whether the driver of the bus had taken sufficient rest in the last days prior to the accident. We are following the matter closely, in coordination with our Spanish colleagues BCV Lex (www.bcvlex.com)as the investigations will be conducted in Spain by the competent Spanish authorities and eventual claims of the victims will possibly have to be pursued in Spanish courts and jurisdiction.